Today we received the happy news that the SAM instrument received enough sample to conduct its "evolved gas" analysis of the powdered rock from our "Duluth" drill hole! This will allow the team to study the composition of "Duluth" and search for clues about the habitability of Gale Crater billions of years ago. It also fully validates the new sample drop off routines that were created to work with our new "feed-extended drilling" technique. After a busy several sols where Curiosity's onboard laboratories got back in action, the plan today was relatively quiet with ChemCam LIBS analysis of rock targets "Little Marais" and "Independence", and some housekeeping activities from SAM following its investigations two sols ago. The environmental science theme group is monitoring a growing large dust storm on the other side of Mars. 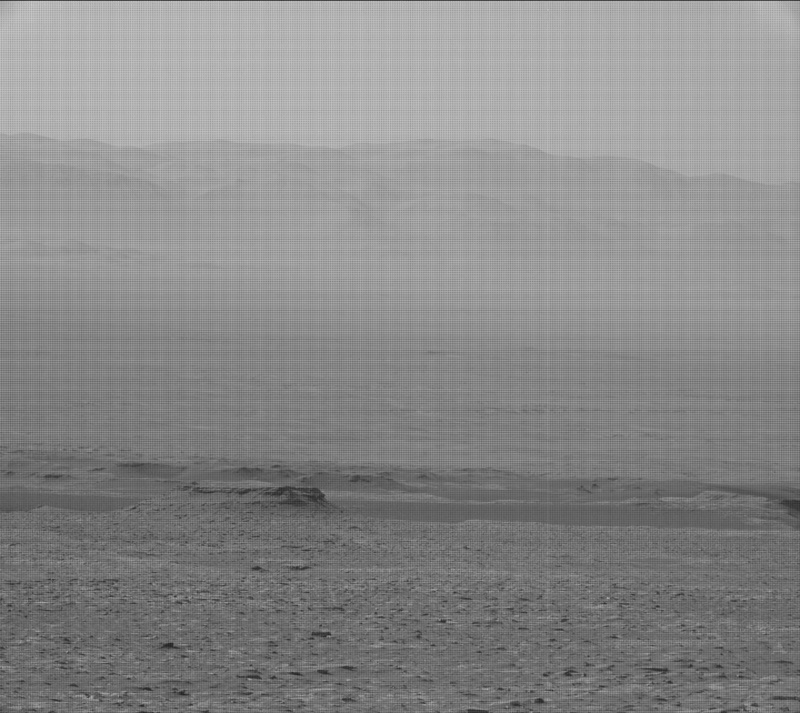 To help keep tabs on if and when this storm begins to impact Gale Crater, we added two observations with Mastcam to monitor the amount of dust in the atmosphere and a short Navcam dust devil survey. We expect that even if the storm dissipates before becoming a global dust storm, that the amount of dust in Gale will increase over the next several days and this view of the crater's rim will become far hazier.